May 2015: Tips, eNews & More! According to the almanac, the summer solstice begins on June 21st, but Canadians know summer really kicks off with the Victoria Day long weekend! Warm weather means more opportunities for outdoor activities, but don't forget to stay safe when spending time outside. 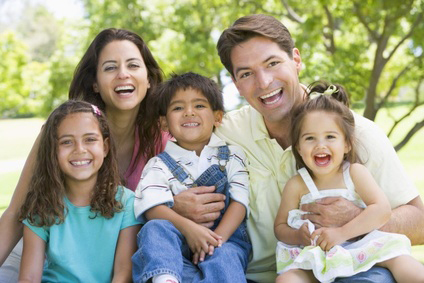 The Canada Safety Council educates the public about potential health concerns during Summer Safety Week (May 1-7). Take a look at some of their tips to help you and your loved ones stay safe in the heat. Mother's Day is on Sunday, May 10th and Monday, May 18th is Victoria Day. Both are great opportunities to get together with family and friends to enjoy the nice weather. 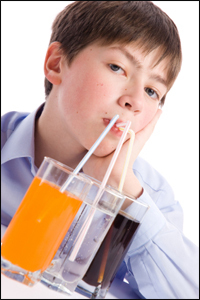 Sugary drinks such as sodas and pops have been getting a lot of attention lately. They are even considering warning labels similar to cigarettes on their packaging. If you're like me and enjoy the occasional pop with lunch or during the work day here are some tips to limit the damage to your teeth. For starters, try the sugar-free versions - they are less likely to cause cavities, although they still damage enamel. Also try to drink your pop during a meal, drink through a straw (to minimize contact with teeth), and follow a pop with a good drink of water to rinse the mouth clean. If possible, brush your teeth after you're done. Most importantly limit your pop consumption. Remember, that once it passes through your teeth, the rest of your body has to deal with it and that's a whole other story. Okay, okay, maybe not healthy poutine, but much healthier poutine! 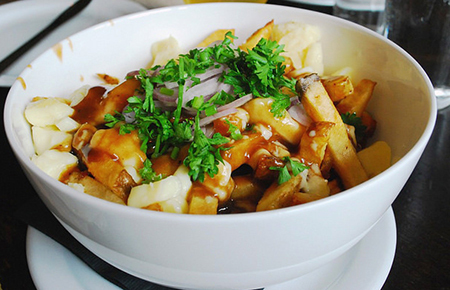 Originating in Quebec, poutine is made of French fries, cheese curds, and gravy. A few alterations of the main ingredients can improve the nutritional value in poutine without altering its delicious taste. The nice thing about this recipe is its flexibility. Use your favourite potatoes or, instead of using cheese curds, substitute with partly skimmed mozzarella cheese or even fat-free cottage cheese.